I still remember my first virtual summit No-show… boy was that tough. See people always ask about Virtual Summit Tech, Virtual Summit Software and all that other stuff, but I always try to explain that the Tech is the least of their concerns, the most interesting challenge is dealing with the schedules and the people. 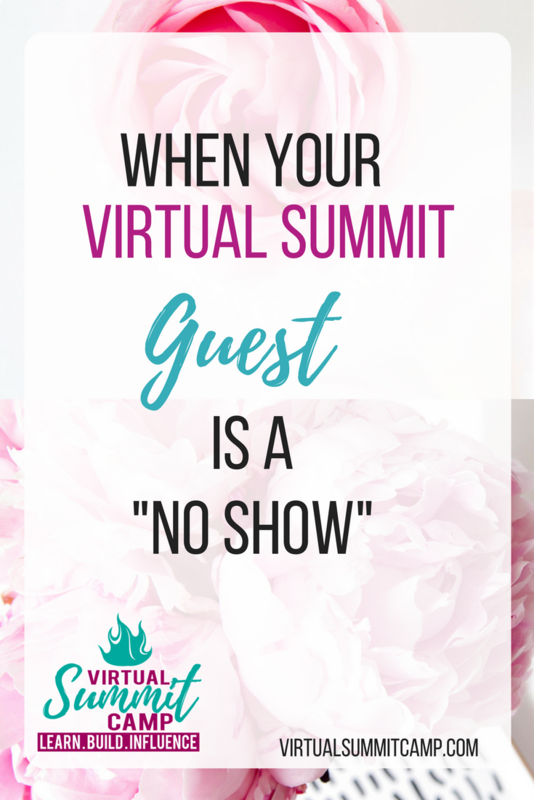 So what do you do when you have all the right Virtual Summit Software but your guest is a no-show. Well you can be like Osayi A and get angry and sulk because you feel like these people don’t respect your time or the fact that you had to pay for a babysitter for your toddler, or that you didn’t sleep through the night preparing for the interview…etc. etc. etc. I reschedule them for a few days time, around the same time they requested. Then I email them or send them a message on any social media platform letting them know that I’ve rescheduled them, but that they can let you know when will be convenient for them. Keep the tone light and friendly, it’s nothing personally against you. And if they still do not show up… guess what you have millions of other amazing speakers that would love the opportunity to be on your summit…so just move on. And most times they will come back and apologize profusely – because most of the people you would consider for your summit are awesome anyway. 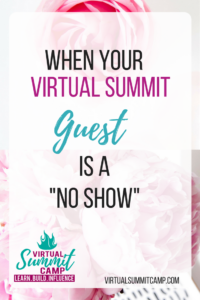 So don’t ever forget that you can master Virtual Summit Tech, you can Master Virtual Summit Platforms, but to be most successful as a Virtual Summit Host, you want to Master how to win friends and influence people.